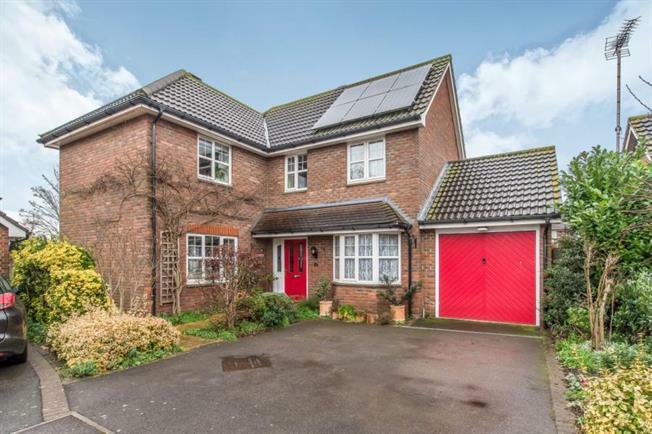 4 Bedroom Detached House For Sale in Faversham for Offers in excess of £470,000. A superb family home in one of Faversham's most popular residential areas, Hilton Close. This property is a spacious four bedroom, well maintained home sat in the corner of the close. Entering into the bright, well lit entrance hall leading through to the large lounge, the additional conservatory adding even more living space. There is also a cloakroom/wc and a modern fitted kitchen/breakfast room, upgraded approximately three years ago with integral appliances, plenty of room for a table and chairs or you can choose the more formal, separate dining room to enjoy family meals. Additionally there is a utility room leading to the rear garden. Upstairs you will find four well proportioned bedrooms, the master with en-suite shower/wc facilities and there is also a family bathroom to this floor. Outside is a lawned rear garden, and side access to the garage and drive. Faversham is a market town, steeped in History with many historic buildings; the town has a lovely cafe culture and local shops. Hilton close is situated to take advantage of the motorway and the train station service London, Canterbury Thanet and Dover. This is historic town will delight all.